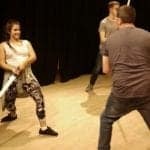 Our professional stage combat instructors will take you through the ropes of everything there is to know about sword fighting before putting the great moves into practice. 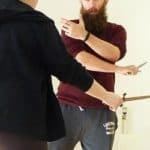 Polish off your new weapon handling skills with your partner as you experience what it takes to become an expert warrior. 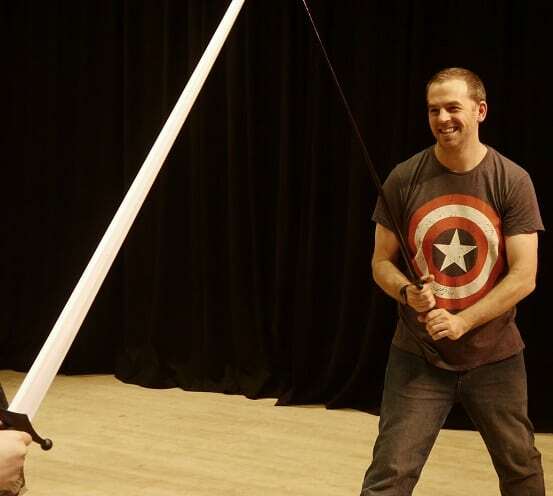 Our broadswords are lightweight but comfortable, giving the authentic look of the battlefield. 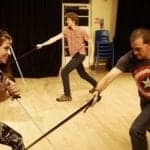 Your team will flourish at the idea of starring in your very own Game of Thrones or Lord of the Swords battle! 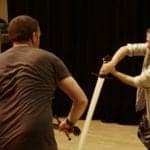 Our fight directors will take your group through step by step and immerse participants into the world of sword fighting! With the emergence of popular medieval fantasies such as the Game of Thrones, it is easy to see the appeal of sampling what it takes to appear on screen. 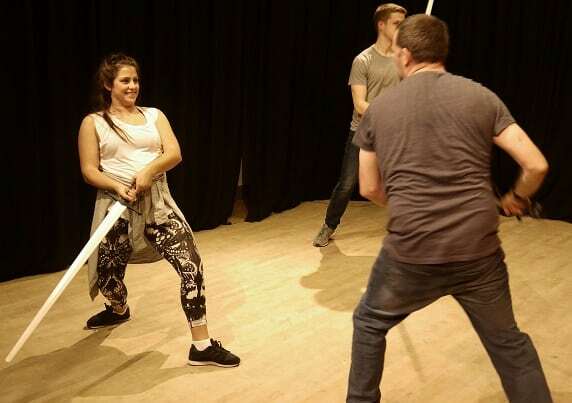 Our medieval style broadswords are ideal to give your group the genuine ‘battlefield’ feel. 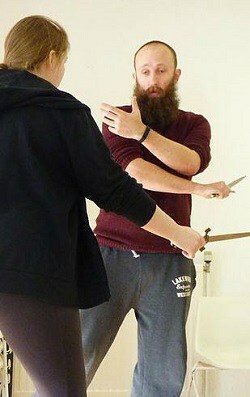 You’ll learn to fight safely whilst looking deadly! 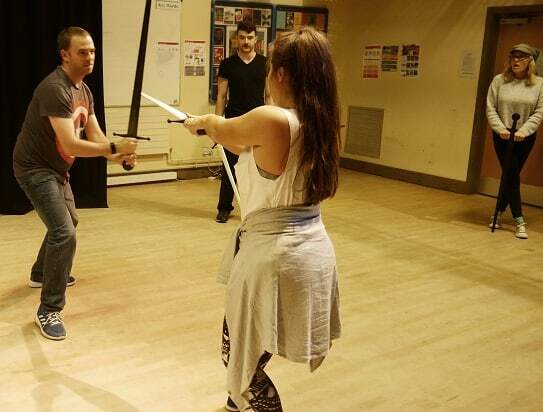 Our popular sword showdown experience is suitable for all physical and skill levels. 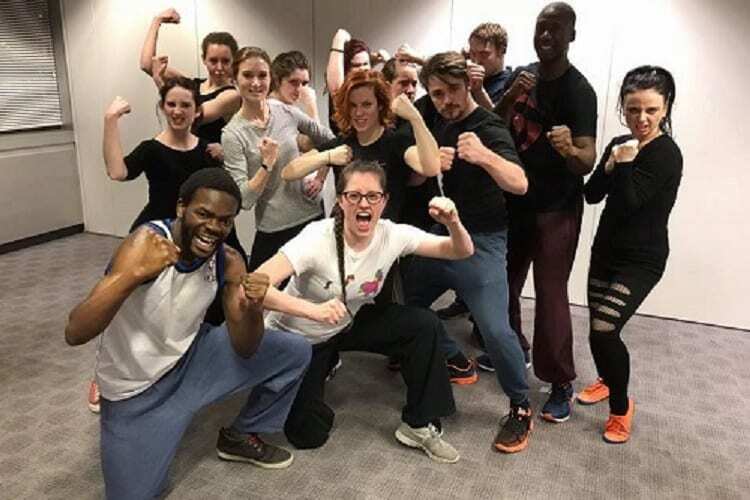 The activity is designed to be enjoyable and provide a safe and rewarding environment to learn a new skill that is guaranteed to impress! 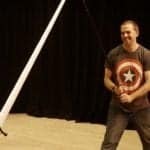 Our professionally trained combat instructors will teach the group plenty of safety tricks along the way using our training swords to ensure your group is never in harms way. 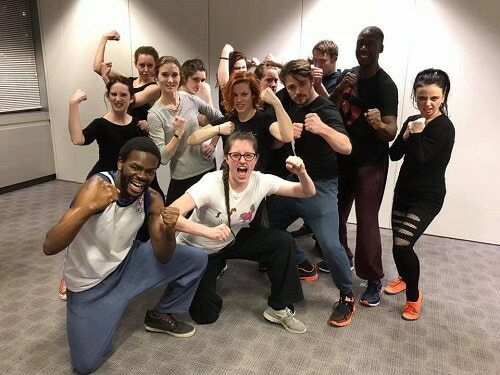 By the end of the class, fighting partners would have picked up several impressive moves to show off to the rest of the group. 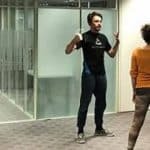 We recommend rotating fighting partners throughout the session to ensure the whole group have a chance to interact together. 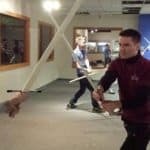 Fun filled day learning a variety of sword techniques for both attacking and defending against colleagues. 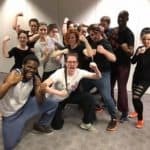 The team’s genuine enjoyment of their work is infective. That was great fun! 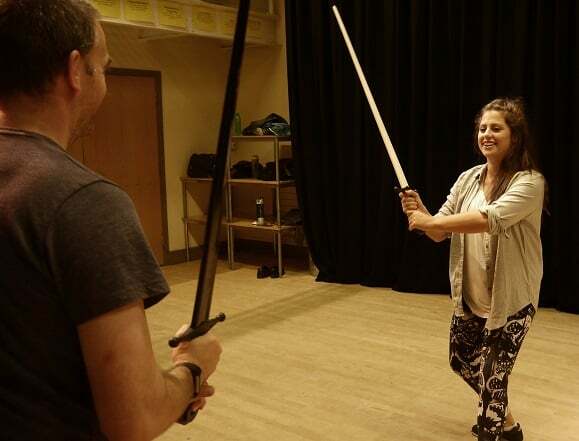 I learnt a lot, not only about how to swing a broadsword but also how to defend myself against my colleagues. 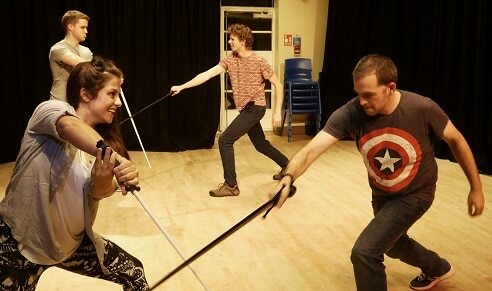 I felt like Zorro for a few hours! Amazing event, we laughed so much! The rapport with the instructors and us was great and it was cool to see how the pros do it.